Build your business with affordable web design! Small businesses and professional bloggers need affordable web design that’s easy to manage. No programming, no FTPing, no coding required. We get it up and running within 1 week with premium features galore. You start making money! This premium package is worth over $565 dollars. With PopCred, it costs you only $100 per year. And we do all the installation! We provide one full year of web hosting on HostGator. You’ll have your own storage space on the internet to keep your files, images, and database. The annual clock starts running the day you order. You would pay $66.72 the first year and $83.40 each year thereafter if purchased on your own. And you’d install all the software yourself. Hosting and installation are included in your PopCred website package! Each website comes with a built-in system to manage the contents, the layout, the navigation — everything that makes up the website, inside and out. This is called a content management system (CMS). WordPress was voted Overall Best Open Source CMS Award in the 2009 Open Source CMS Awards. We use WordPress as the CMS on all the sites we create. It is incredibly flexible and powerful, yet it’s still easy to use, even for those with no prior computer experience. Ranking high in search engines is made easier with blogging. If you’re interested in blogging for your business, we will set up a complete blog on your website, either on the home page or on a back page. You choose the look and feel. This optional service is included in the price. What’s a theme? It’s the skin that changes how the site looks to your customers and readers. You will always have the latest WordPress themes installed. In addition, you may choose from three premium options! We use the premium Thesis theme on this site. It is clean, simple, endlessly customizable, and upgradeable. Thesis is designed to help you with search engine optimization (SEO). Have the latest version of Thesis installed on your site. Thesis retails for $87.00. 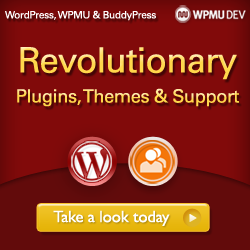 Choose any of the premium themes created by WPMUDev and we will install it for you. Themes retail for $19. Purchase your own theme or find a free theme you like and we will install it on your new blog. Slide In: an easy-to-use, unobtrusive marketing message that glides gracefully into view from the one of the edges of your site. Floating Social: a configurable social sharing bar that lets readers share your content on Twitter, Facebook, StumbleUpon, Google +, Reddit and Del.icio.us. If you purchased these premium plugins, you would pay a minimum $412 the first year and at least $228 each year thereafter. They are included in your PopCred website package. Additional consulting is available by appointment. Each year on your subscription will automatically renew at a cost of $100 for continuing use of all the features listed above including hosting. (You may cancel future renewals at any time.) No muss. No fuss. No hassle. Get an affordable web design for your small business in just 1 week! See our demo site for a front-end glance at the foundation for your new web venture.